No coupons are currently available. Please check back at a later time or call to inquire about current deals. 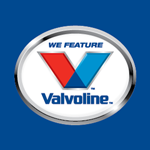 KWIK KAR AT HOUSTON of Houston provides fast oil changes, featuring high quality Valvoline motor oils and chemicals. We are located at 2490 Hwy 6 South in Houston.